Well, I did it. I worked in my classroom all day long. Still. Not. Finished. Hopefully tomorrow? I really just feel like zoning out tonight...watching a little Olympics (Yay for USA Volleyball!!) and still upset that they're trying to backdoor Janelle on BB!! NOOOOO....I really think Danielle is going to watch the video back and regret getting snookered by Boogie and Frank! If Janelle goes, they are going to run this game! My go-to stores are Ann Taylor LOFT and Banana Republic....they probably account for more than 80% of my closet! I also LOVE J.Crew, but I only get staples from there or hit their outlet because, let's face it, it's not really made for a teacher's salary. However they DO give a teacher discount! :) Sometimes I find some really cute stuff at Target and Khol's, too, but those are usually hit or miss for me. 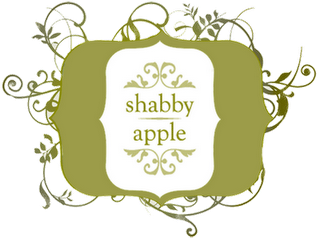 However, my NEWEST addiction is Shabby Apple. Have you seen this one? Seriously Precious! I was sooooo in love with their vintage bathing suits this summer! And, they have some super cute, girly dresses. L-O-V-E their modern retro looks! I LOVE a big chunky necklace!! 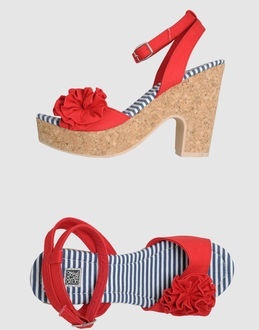 This is one of my favorites that I pinned on Pinterest (originally JCrew for over $200) but bought on ebay for $35!! SCORE! I am a HEEL girl! I WISH I had a job that was conducive to wearing heels. 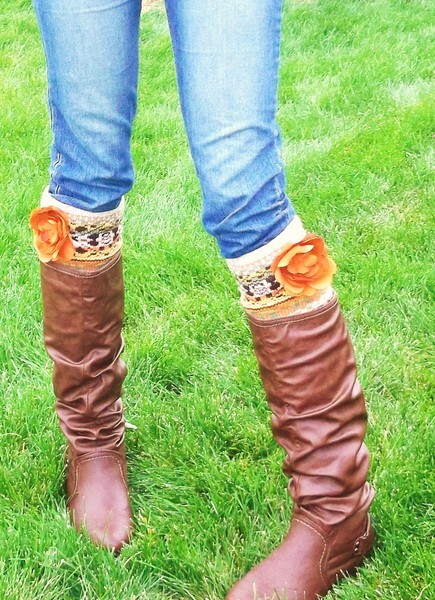 I would gladly wear them EVERY SINGLE DAY! I do have to break down and wear them to work sometimes (I just love the way I feel in heels....very girly). Here's an example of a shoe I pinned and even wrote "great for work" as the caption. I know, I know...some people choose comfort over cute, but I like to think there's a compromise. Oh, and boots are awesome for work!! 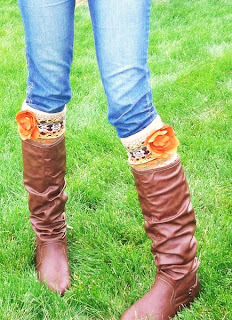 How cute are these with the boot socks? 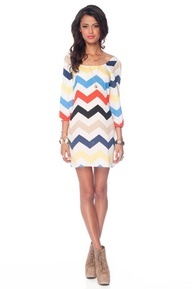 My go-to item during warmer weather is a dress. What can I say?? I love dresses, ruffles and flowers! While I can't really wear a lot of the dresses I love to work, I have definitely started the year off wearing a different dress for the first month before. I think they're comfy, plus they're so easy in the mornings...you don't have to "match" - just throw it on and go! Other "go-to" items would be a little cardigan or denim jacket to STAY at school. It always seems to get cool at some point during the day! Dress, denim jacket, chunky necklace AND boots? CHECK! Absolutely...all of the above! Keep super glue and safety pins on hand at all times! You never know when a fashion "uh-oh" will strike! 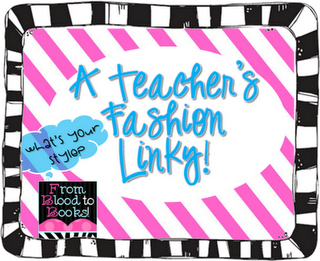 Alright, this linky definitely put me in the mood for some back-to-school shopping! Uh-oh! I love those shoes! I have really bad feet, etc so I mostly wear super comfy shoes. 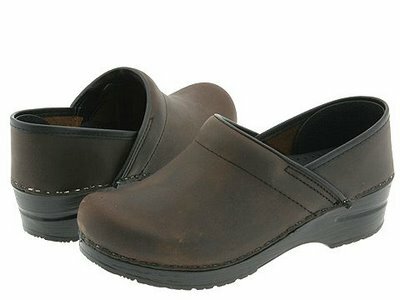 However, I'm totally with you on the the Dansko clogs. Not cute. 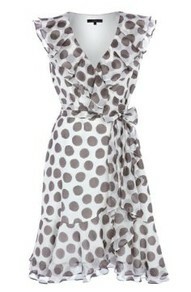 I also love the dresses-so girly and cute!! I love those bubble necklaces, too! I am actualy going shopping today for school clothes...yay! :) I have such a hard time with shoes...I am not really a heels girl! I love wearing dresses too. I even get away with wearing a lot of my comfy summer dresses to school by adding a jean jacket. This covers the thin straps and makes the outfit look a little more put together. I think some teachers take the comfort look a little too far, so I'm with you on the Danskos. They definitely have to go. I love your post! I think we have very simiar style. I find great deals at Banana Republic all the time. I have those gold wedges in chocolate brown! Love them! I've never tried on Danskos, but hear they are fabulous for comfort! A teacher I work with has a cheetah print pair-cuter than the solid! Love this linky! That is AmAZInG that you teach in heels! And those dresses are SOO cute. I want! The picture with the necklace was one of my first pins on pinterest-love everything about that picture! Really enjoyed reading this post-wanna go shopping now! Thanks so much for linking up!! I just pinned the picture of the necklace on pinterest the other day. I guess great minds think alike. And we are on the same page with the Danskos! I bought a pair because everyone and I mean everyone wears them in the hospital and I didn't want to be left out so I found a blue reptile like pattern... wore them for one shift and had to go home and soak my feet. They were throbbing!! Everyone says you have to break them in.. but who can stand to wear them for that long? Definitely a $120 down the drain. To each their own with that subject.